Kalyn Ponga will move into the No.6 jersey for the Knights. 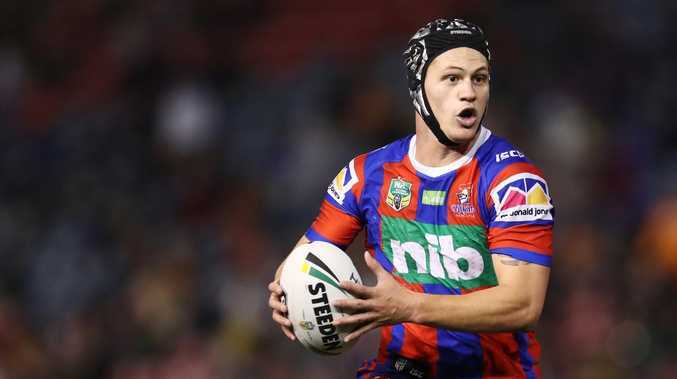 KALYN Ponga will be given a licence to roam at five-eighth in the NRL as Newcastle look to give him more ball without curtailing his game-breaking ability. 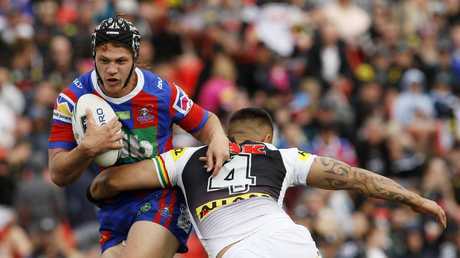 Ponga will switch to No.6 for the Knights this year, after a breakthrough first season with the club at fullback in 2018. He scored six tries in 20 games for Newcastle but it was his ability to pop up anywhere with 108 tackle busts and 14 try-assists that made him most dangerous. While he is looking forward to being more involved this season with the move to five-eighth, he was adamant it wouldn't take away from his ability to be a threat in broken play. "I'll still be given a licence to roam and I want to have that licence," Ponga told Fox Sports News. "I don't want to be stuck on one side. I think that limits you over there. "Obviously there will be times when I will be stuck to a side and that's the structure of our game. "But broken play I want to be pushing to where the ball is and everyone flowing. "So I can just roam everywhere like I was last year." Ponga has worked closely with halfback Mitchell Pearce in the pre-season as he learns to develop his organisation skills. Pearce will largely be in charge of the Knights' attack this year with Ponga playing eyes-up football but the 20-year-old wants to be ready to take over from his experienced halves partner if required. He also has no concerns about defending in the front line, pointing to his brilliant State of Origin debut in the back row off the bench for Queensland last year in Game II in Sydney. "I grabbed a lot of confidence out of that Origin debut of mine, just because I was in the front line and had to make tackles," Ponga said. "If I've got to make those tackles I'll make those tackles. Then I'll get the ball more, which I'm excited to do."